Update: We've now gotten the Pokemon Master package from Google as well, and turns out there are actually 10 cards inside, not 1. The updated image is below. 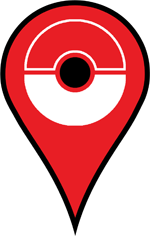 If you remember Google's April Fools Day promotion that scattered digital Pokemon in maps all over the globe, you'll remember that it was awesome. Google also allowed those who had found all 150 Pokemon (with or without #151, Mew) to submit a form for a special prize. It looks like the prizes are finally making their way to the winners. Reddit user "tinygrump" got one and kindly posted a photo. 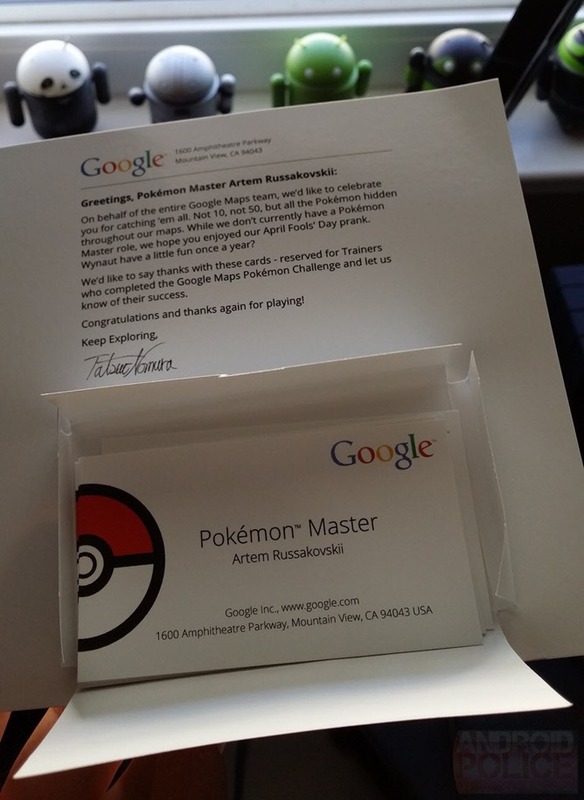 It's a letter and a business card certifying the holder as a "Pokemon Master" at Google Inc., calling back to the original Google Maps video. Come on Google, I know that this is all part of a free giveaway, and perhaps it's a bit petty to expect anything more. But the traditional prize for a Pokemon trainer is a badge. A Maps pin with a Pokeball in the center would have been more appropriate.